Read 3 times. Last read February 8, 2013. I definitely agree with you when you say your respect for Rose grew. In the first book of the series Rose kinda came off as just another naive teenage girl chasing after a forbidden love to me. But after the last little fight scene with her friend/ turned Strigoi I saw her as being a bit more mature. 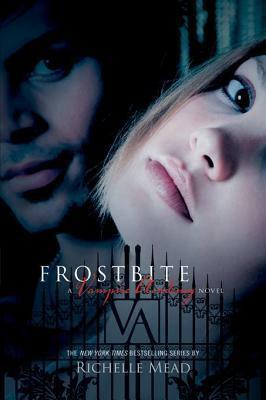 Frostbite was way more interesting because of this and also the building romantic tension between Rose and Dimitri. It drew me in from the start. But do you think the second book would've been just as boring without the final fight and love scenes? I do.